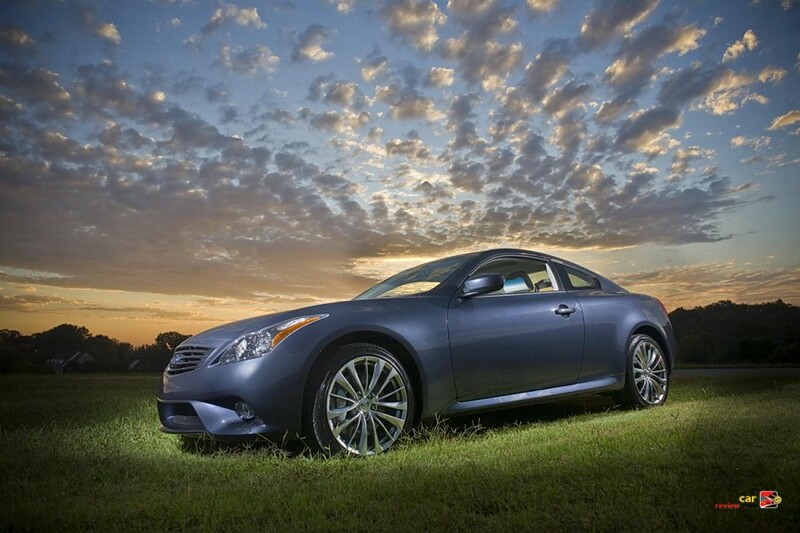 The Infiniti G37 Sport is Nissan’s gentrified version of the 370Z. Its defanged appearance is the perfect antidote to the Z’s frontal overbite. Its Gentleman’s Club interior reconstitutes the Z car’s objectionably plastic cabin into a mature environment replete with dual zone climate control, power adjustments for steering wheel position, and infinitely configurable leather sport seats . 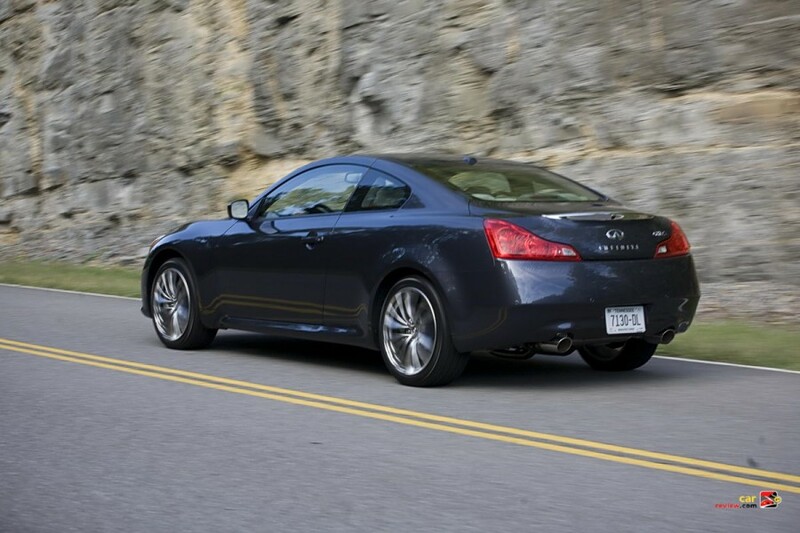 But the G37 coupe has lost none of the Z’ intense sporting character as a result of the cosmetic transformation. The Infiniti’s 3.7 liter V6, good for 330hp and 270 lb.-ft. of torque, rivals the identical power plant in the Z for brisk acceleration. The 6-speed manual transmission shifts with precision and alacrity. The stick is short, the leather festooned knob a pleasure to hold. The G37S will run the quarter mile in under 14 seconds at over 105mph, and complete the 0-60mph sprint in just 5.4 seconds. Not only will the Infiniti keep a 370Z in sight on the straights, but it will stick with one through the twisties. Fat Bridgestone Potenza RE050A tires (225/45R19 f., 245/40R19 r.) grace equally fat alloy rims which measure a generous 8.5 x 19 inches front and 9 x 19 inches rear. The rims are finished in a subdued matte chrome that enhances the coupe’s svelte look. The only notable brightwork on the G37 is the chrome front grill and the Jaguar-like horizontal finisher on the trunk. The coupe is as inconspicuous as the Z is garish, yet it accomplishes the same mission as its corporate sibling: quick and efficient transportation at a reasonable cost.